Wish You Were Here - Or Do I? Wish You Were Here – Or Do I? Ah, summer–lazy days, balmy nights, and above all, vacation. And what could be a more popular vacation destination than Paris, the City of Light? But while many people go to Paris for a romantic getaway, author Courtney Maum sees it a little differently…in her debut novel, I Am Having So Much Fun Here Without You, protagonist Richard Haddon is discovering that when your life’s coming apart, sometimes an amazing city is the worst place you can be. Courtney recently created a gorgeous slide show of some of Richard’s Parisian haunts, like the Jardin du Luxembourg, seen here. For more great photos, along with selections from her book, click through to the full slideshow on FathomAway.com! 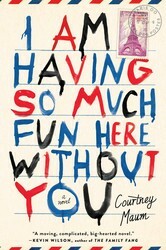 You can purchase I Am Having So Much Fun Here Without You at the bottom of this post, or wherever books are sold. And if you’re already loving the book and are thinking it might make a great book club choice, click here for discussion questions! But what’s that, you say? You need even more Paris tours from authors? Ask and ye shall receive! 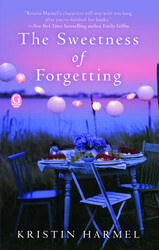 Author Kristin Harmel also sent a character to Paris on a journey of discovery in her book, The Sweetness of Forgetting. On her site, you can see a map of Paris, with pop-up photos of the key places divorced mom Hope goes as she traces her family history. And for a little more detail, check out this video Kristin made at the Vel d’Hiv, a WWII monument. Clearly, Paris has something for everyone! So no matter where you’re vacationing this summer, we hope you can honestly tell everyone that you’re having SO much fun without us. In this reverse love story set in Paris and London, a failed monogamist attempts to woo his wife back and to answer the question: Is it really possible to fall back in love with your spouse? I love to read and I love to explore. This makes me want to run off to Paris! !